Lemmings is making a comeback, and this time the clueless creatures are making their way to mobile devices. Sony announced in a blog post that Lemmings is now available on Android and iOS for free, however there will be microtransactions and adverts. 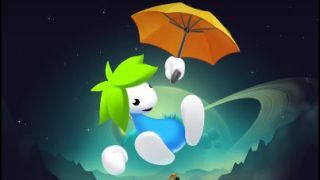 Lemmings on mobile follows the green-haired icons as they look for a new home following an environmental disaster. This quest takes them (and you) through thousands of levels in an effort to find somewhere safe to inhabit. But obviously, being Lemmings, it's not quite that easy and the little critters have a habit of wandering into perilous locations – it's your job to keep as many of them as possible alive. Lemmings was first released 25 years ago for the Amiga, but this is the first time the classic has come to mobile. You may be wondering why Sony is the one bringing it to the platform, but the company actually owns the Lemmings franchise. Sony acquired Psygnosis – the studio that published Lemmings – back in 1993, in turn buying the rights to Lemmings. Lemmings is available to download now.